Shares of Levi Strauss surged after it began trading as public company for the second time in the clothing brand’s 166-year history. 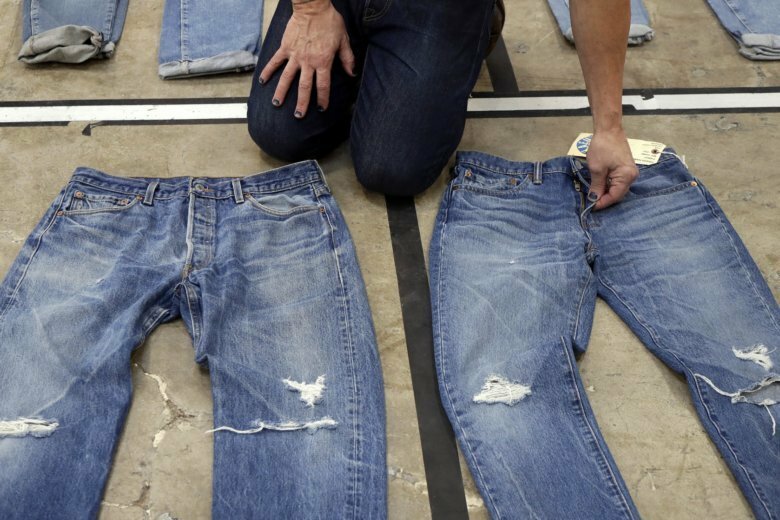 In a rare move, the New York Stock Exchange suspended its “no jeans” policy to commemorate the offering, transforming the floor from suits and ties into a sea of blue denim, with its traders sporting jeans and denim jackets. The New York Stock Exchange community, including more than 300 traders, is suspending its “no jeans allowed” policy on Thursday to celebrate Levi Strauss returning to the public markets. More than 120 employees from Levi’s global offices including its CEO Chip Bergh are taking part in the event and are wearing jeans and donning white T-shirt with the company’s red bat wing logo. The 166-year-old company, which owns the Dockers and Denizen brands, previously went public in 1971, but the namesake founder’s descendants took it private again in 1985. The stock is listed under the ticker “LEVI” and is set to start trading Thursday at $17, above an originally expected range of $14 to $16.